I recently had the chance to borrow a Red Pitaya board from Dave, G7UVW. The board is essentially 2 ARM v7 cores running at 300 MHz and an FPGA fabric. 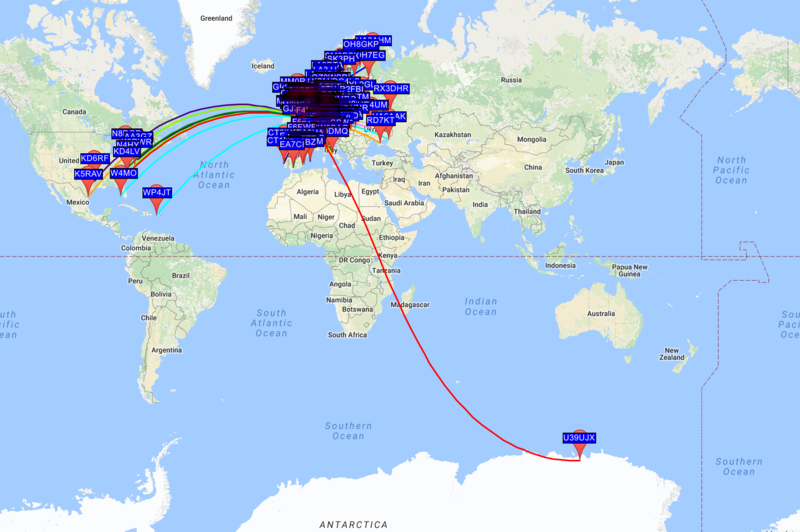 My knowledge isn’t great enough to make this work on my own, but, fortunately the excellent work by Pavel Demin makes an 8-slice SDR receiver, records to .c2 files, and then runs wsprd to decode the recorded c2 files, uploading spots with curl to the WSPRnet website. The process isn’t too bad to get started, so off I went. 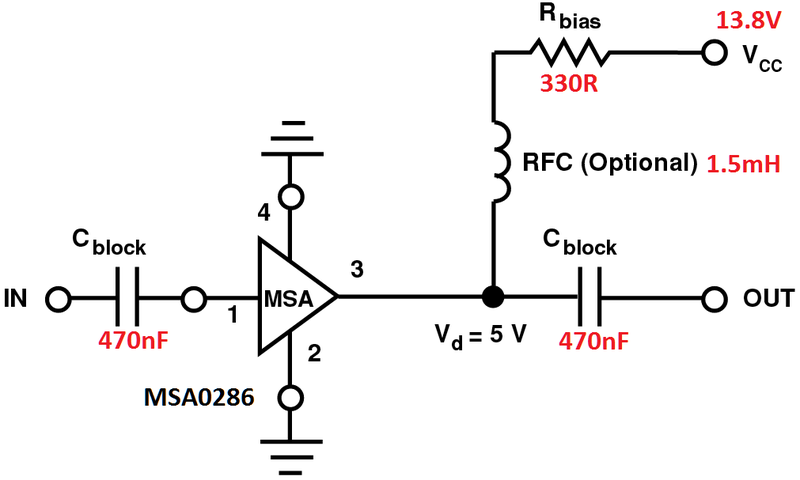 The frequency correction in PPM can be calculated using the scopegenpro application, carefully measuring a known frequency, and then calculating the error as parts-per-millon. I ended up using the JitterLabs PPM Calculator to help with this. As you see above, I arrived at an offset of -7.2 ppm. 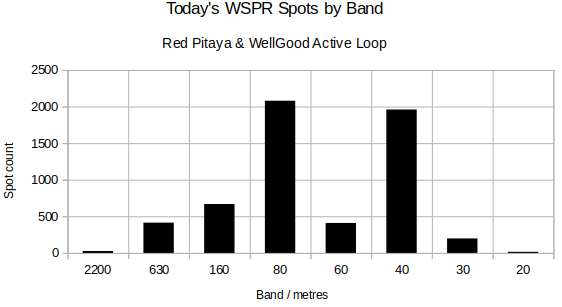 You can also use WSPR spots to compare your reported frequency to that of the average reported frequency, and calculate your offset from the average. I saved the changes on the SD card, and, booted up the Red Pitaya with the SD card. It sprung into life immediately. After running for a while, I noticed that the spots had stopped. This turned out to be caused by an incorrect offset, and the fact that the master clock on the Red Pitaya drifted significantly with temperature. 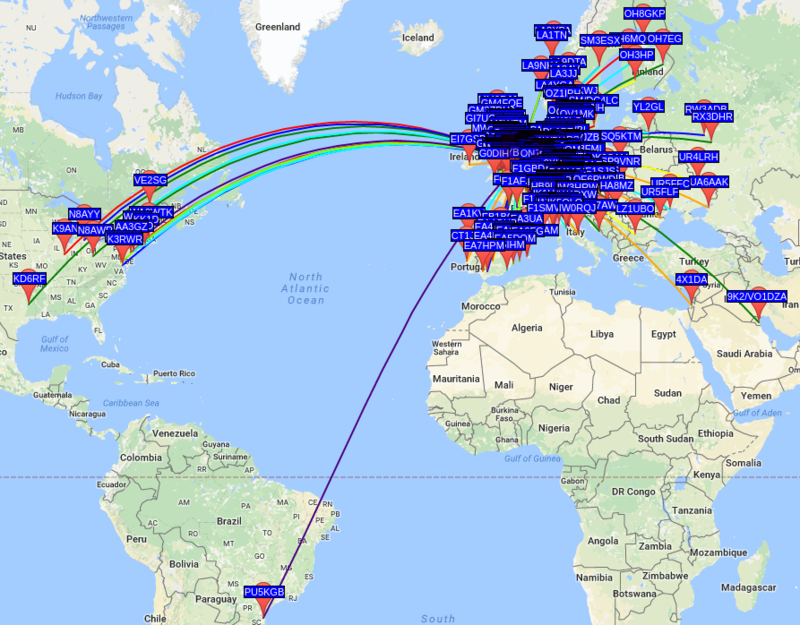 I ended up recalibrating against received WSPR spots slowly, to ensure that the temperature drift wasn’t playing much of a part. This turned out to be the issue. My first calibration value was around -56 ppm! I also decided to add a bit of front end gain. 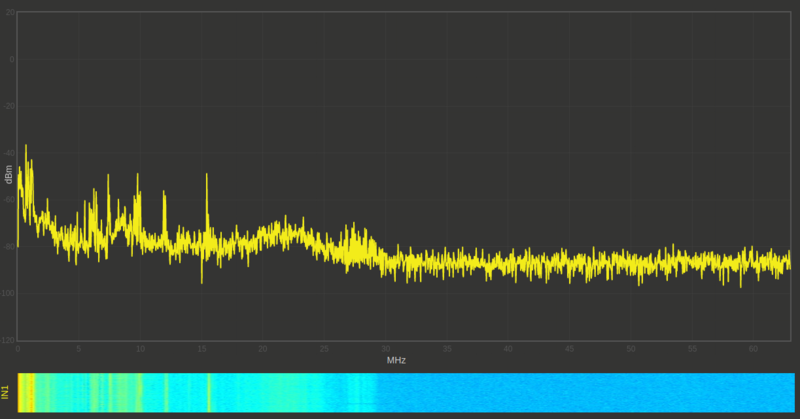 Since I was using an active loop, the noise figure was already set by the loop, and so I simply used an MSA0286 wideband MMIC to add between 10-13 dB gain.